“Stupid fast, super scary, serious fun”, that is Mosport described by Elliott. As the Contintal Tire Sportscar Challenge rolled into Canada, the whole Rebel Rock Racing team couldn’t wait to get on track. Robin and Elliott would do the bulk of the work on the car through the weekend and were feeling confident about the upcoming race. But as Skeer was leaving the pits running inside the top ten, he was informed of a drive through due to a pit infraction. The lack of yellows after the penalty resulted in a result below the performance shown. “It’s disappointing, getting into a fast car and instantly being out of contention, but that’s racing.” said Skeer, “It’s still my favorite track, I had good fun this weekend and can’t wait to be back here as soon as possible! Elliott Skeer enters the 2016 season with a dominating performance in the BMW Performance 200 at Daytona International Speedway. Skeer, who has signed a partial season deal to compete in the CTSCC ST class with Rebel Rock Racing, went on to capture pole by six tenths of a second in a wet qualifying. “The car was incredible” said Elliott. 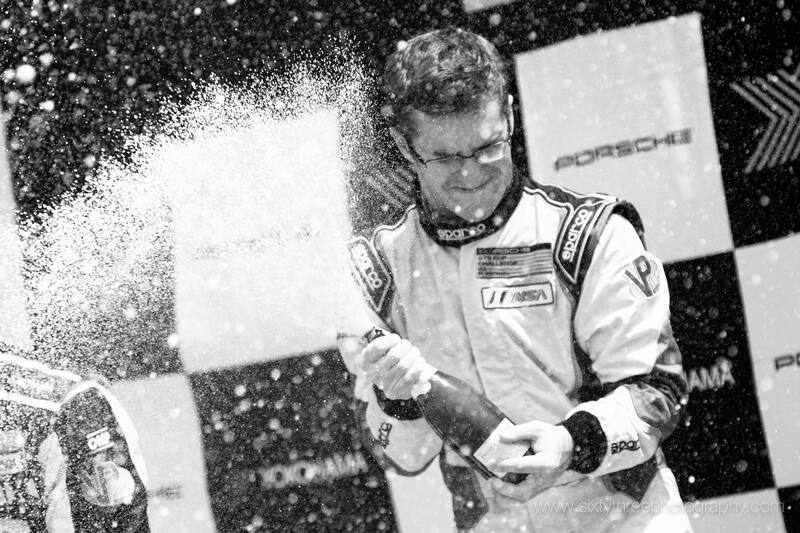 “The Cayman is such a balanced platform that it really stands out in the wet, it’s only fitting that a Porsche would be the best in bad conditions.” The race would continue the strong weekend as Elliott would lead from the start and would pit, handing off to co-driver Robin Liddell, in the lead. “I was very happy with the car’s race pace and the whole Rebel Rock crew for the fast stop. Having Robin finish the race is a great feeling, if anyone can bring it home, he can.” said Elliott. Liddell would finish in third after a dramatic last ten minutes. Their next event will be at Sebring, March 18th. 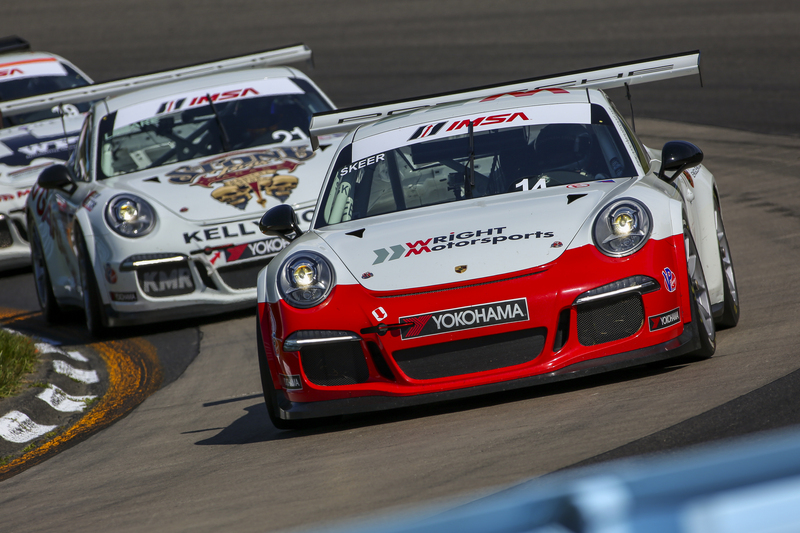 Elliott Skeer has scored a second and a third place result after a hot and wild weekend at Circuit of the America. The penultimate weekend of the championship would prove to be a strong showing for Skeer, who advanced his point lead from 19 to 25. “It was an insane weekend” said Elliott. “Only getting four laps of practice was tough, but the whole team helped me be ready for the races, and that’s what really counts.” Skeer would go on to finish second in the first race of the weekend. “It was a crazy race, Angel’s checkup under yellow sent me into Jesse, which caused a leaking radiator all race, I’m just grateful that it survived the distance!” The second race of the weekend was under the lights, with Elliott putting pressure on Lazarre through the race. “Jesse drove well, I tried to shake him but he stayed strong.” Skeer said. 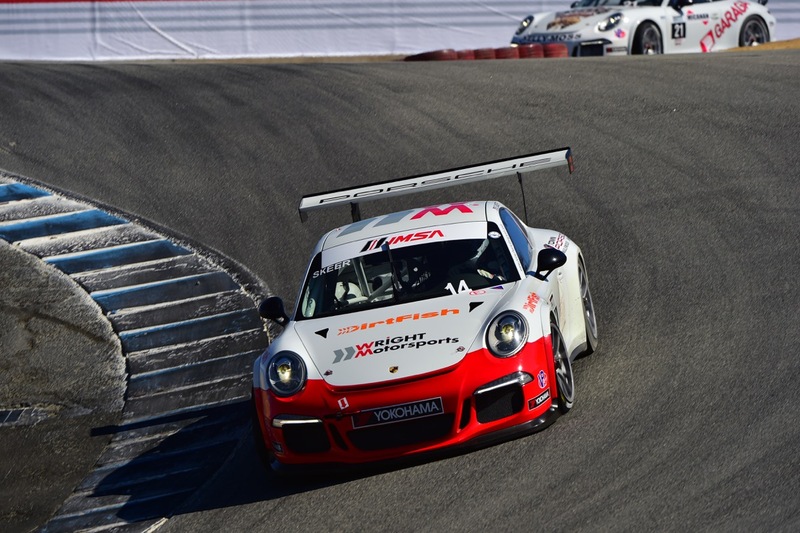 The last two races of the season will take place the next weekend at the Rennsport Reunion at Laguna Seca. 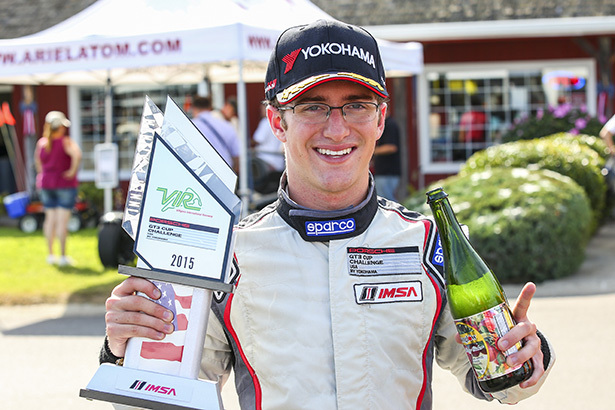 Elliott Skeer has announced that he will be competing in the 2015 IMSA GT3 Cup presented by Yokohama Tire. 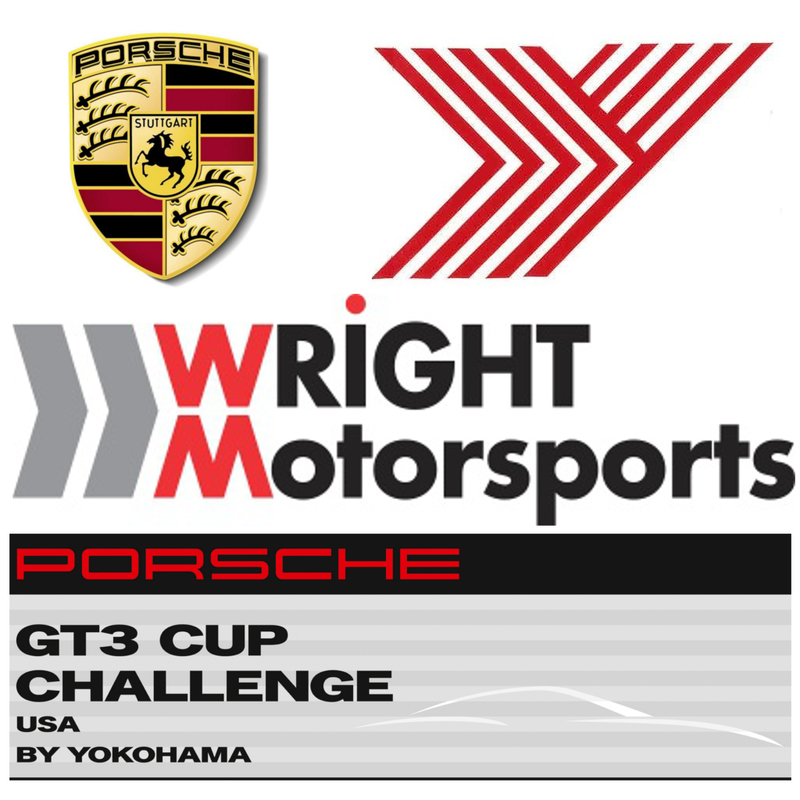 The 20 year old has secured a seat with GT3 Cup standout team Wright Motorsports for the season. 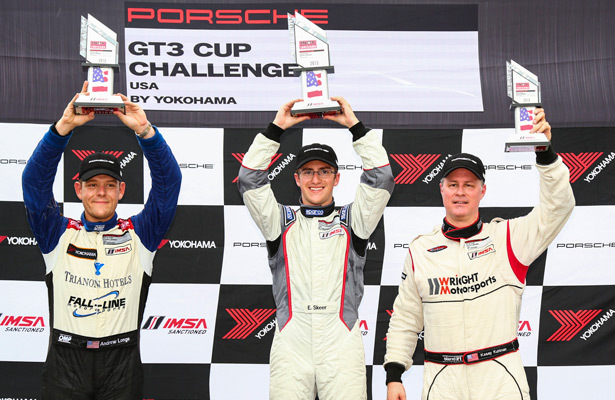 “I am so grateful and humbled by all of the help I have received to compete in this series, It has been both a goal and a dream to race Porsches competitively, and I can’t wait to start the season!”. 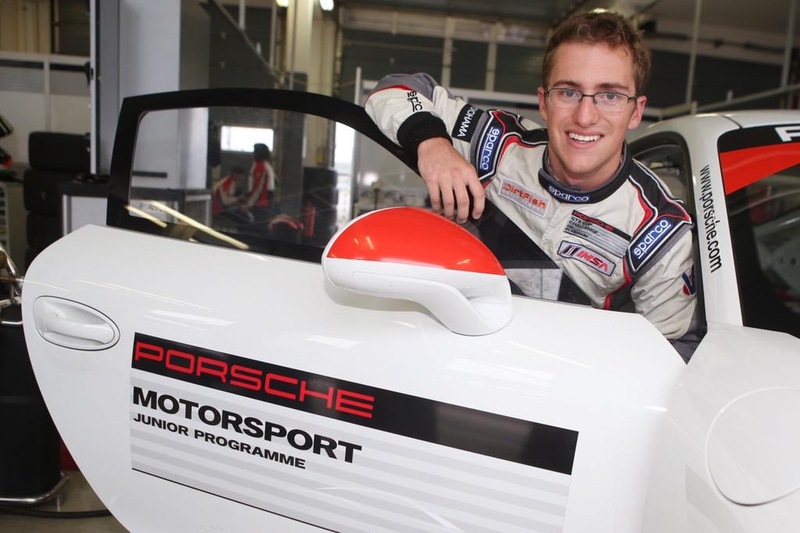 Elliott Skeer competed in the Third Edition of the Porsche Young Driver Academy. 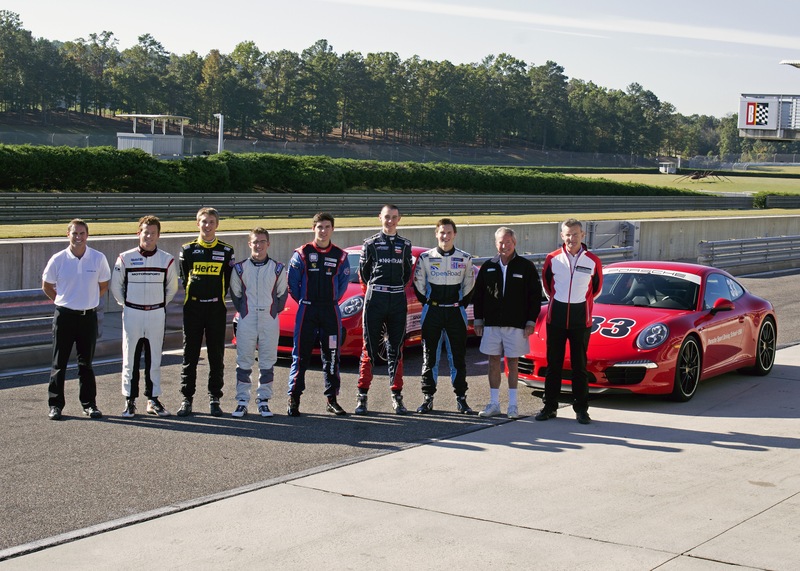 This two day program at Barber Motorsports Park tests 5 Porsche racing drivers on their abilities both in and out of the racecar. 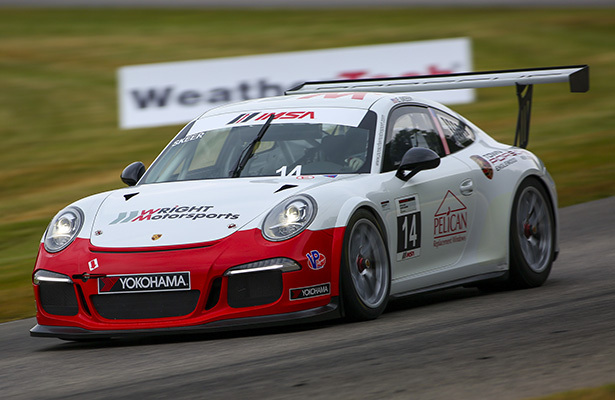 Held in front of Porsche Motorsport North America, the participants were looking to impress for a chance at a scholarship to help fund a 2015 season racing a Porsche. Elliott had a successful event and showed maturity and composure off the track, as well as consistent pace on the track.